MIAMI, FL – February 14, 2019 – Tiara Sport unveiled a new outboard package from Volvo Penta and Seven Marine as a power option for the 38 LS at the 2019 Miami International Boat Show. Tiara Sport is the first boatbuilder to bring to market this complete helm-to-prop solution that combines Volvo Penta’s Electronic Vessel Control (EVC) and Seven Marine’s outboards. The result is an unprecedented inboard experience with high-powered outboard engines. This optional package for the Tiara Sport 38 LS features twin Seven 527 6.2-liter V8 outboards with Volvo Penta DuoProp drives, packaged with a combination of Volvo Penta’s Easy Boating features, including joystick driving and docking, enhanced helm station with Glass Cockpit, dynamic positioning, autopilot-joystick integration and Easy Connect remote connectivity, all tied together by Volvo Penta’s EVC platform. “Tiara has enjoyed a longstanding partnership with Volvo Penta, going back to 2004 when we worked together to package our Tiara Yachts 38 Open with Volvo Penta’s IPS system. This new package is not only a natural fit for our company based on our previous relationship with the team at Volvo Penta; it is also a perfect fit for our rapidly growing Tiara Sport brand,” said Tom Slikkers, CEO and President, S2 Yachts, Inc. The integration of Volvo Penta’s DuoProp system with Seven Marine outboards delivers the largest propeller blade area in the industry. The combination of DuoProps and Seven Marine’s high-horsepower rating makes it possible to push larger and heavier boats more efficiently at all speeds. The result is improved low-speed maneuvering and planing, faster time to plane, enhanced power and improved fuel efficiency across speed ranges. Additionally, the DuoProps dramatically reduce cavitation, even when running in rough seas. 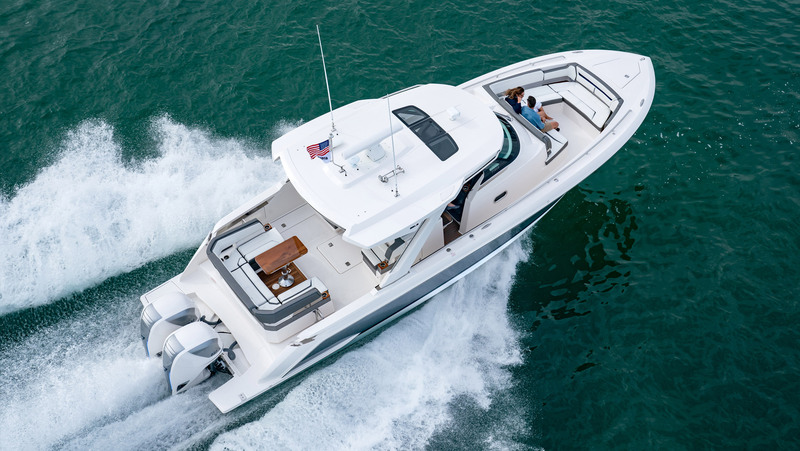 Tiara Sport is a subsidiary of S2 Yachts, Inc., one of the oldest privately held boat manufacturers in the United States. 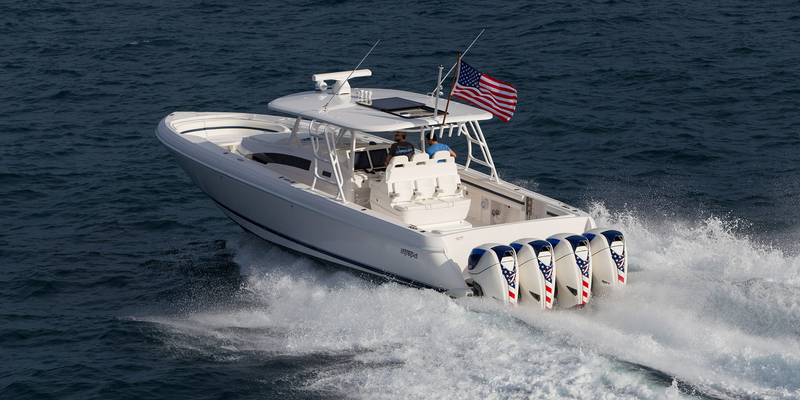 Headquartered in Holland, Michigan, Tiara Sport manufactures sport yachts with outboard power from 34 to 38 feet. S2 Yachts, Inc. also manufacturers Tiara Yachts, which makes inboard powered yachts ranging from 39 to 53 feet. The Tiara Yachts line comprises the Open Series, Flybridge and Coupe models. For more information, please visit tiarasport.com and tiarayachts.com. Volvo Penta, with approximately 3,500 dealers in over 130 countries, is a world-leading and global manufacturer of engines and complete power systems for boats, vessels and industrial applications. 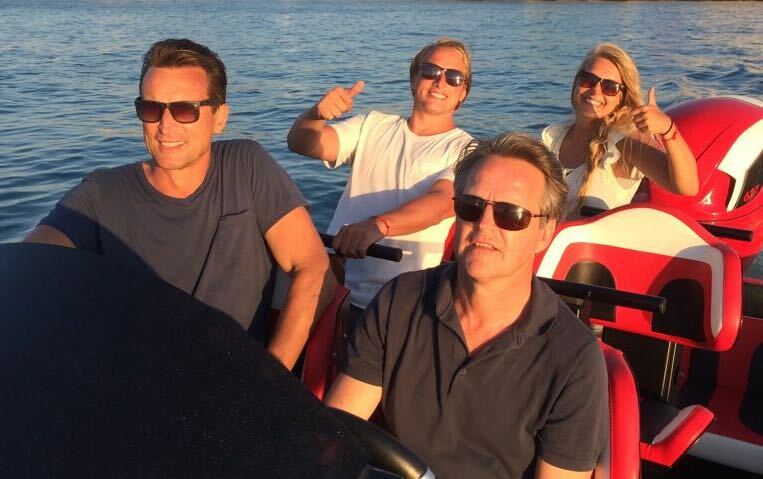 Volvo Penta became the majority shareholder in Seven Marine in July 2017. Seven Marine designs, engineers, manufactures and markets outboard motors worldwide. Seven Marine launched its initial design in 2011, the 557 outboard, and continues its passionate pursuit to improve the outboard experience.